If you’re anything like me, then you are perpetually in search of the perfect lip balm. When I heard that Elizabeth Arden was launching not one, but two lip products based on their best-selling Eight Hour line, I knew I had to try them! Since its introduction in 1930, Elizabeth Arden’s original Eight Hour® Skin Protectant has been an international sensation that’s passed down from generation to generation. While the formula for the iconic “miracle” cream has remained virtually unchanged, the Eight Hour® collection has expanded to include multiple products for the face and body. 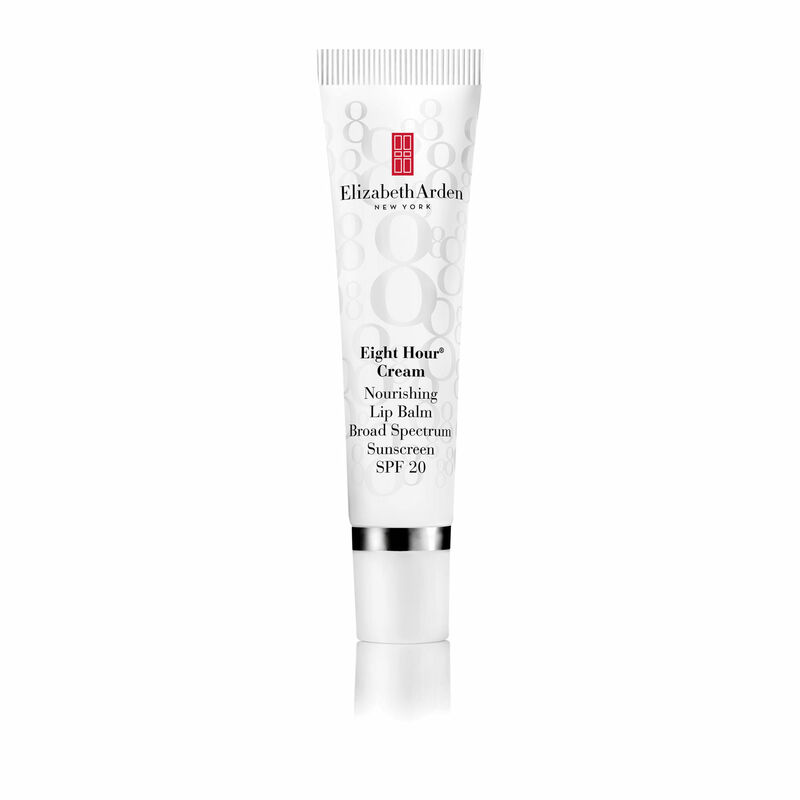 Both Eight Hour® Cream Intensive Lip Repair Balm and Nourishing Lip Balm SPF 20 leverage Elizabeth Arden’s spa science, the brand’s unique approach to beauty that merges 100 years of hands-on spa experience and product innovation with the latest scientific innovations. The product is buttery soft, the consistency of whipped, near-room-temperature butter. It is not greasy though: the gel-formula applies a barrier over your lips without being like petroleum jelly. It has the slightest scent of eucalyptus and honey, and leaves a hint of a cooling sensation when applied. I found this cooling effect to be more noticeable when your lips are chapped or dry, eg from wearing matte, drying lipstick. It leaves a delicious soft feeling on your lips when you go to bed with it, and also makes a wonderful base for your lipstick when heading out. While using this product, I have had softer lips every morning when I wake up. Even after a day of wearing lipstick or gloss, my lips are not dry. I am absolutely obsessed with this Intensive Lip Repair Balm!! I was actually away, without my Lip Repair Balm for a couple of days, and came back with wind-burned lips. I don’t think I can go to bed wearing anything else. Has a nearly undetectable scent, and comes out in a pale pink cream that applies invisibly on your lips. Wore this daily under both lip gloss and lipstick. Used it under one of my favourite red matte lipsticks and it created a moisturizing canvas for the product. My new trick is to apply this over the matte lipstick as well, in order to prevent the drying, cracking effect of that lipstick. Works like a charm! The Nourishing Lip Balm is extremely nourishing, providing long-lasting relief from dryness. I decided to test this product’s moisture delivery by actually wearing it to bed, and even with its SPF, I woke up with incredibly soft lips the next morning! Needless to say, Elizabeth Arden blew me away with this addition to their Eight Hour product line, and I am obsessed. I love the texture, the scent, and most importantly, the result of both these products. In Canada, they are both available for purchase at The Bay, Sears, Shoppers Drug Mart, London Drugs and Pharma Plus Ltd. 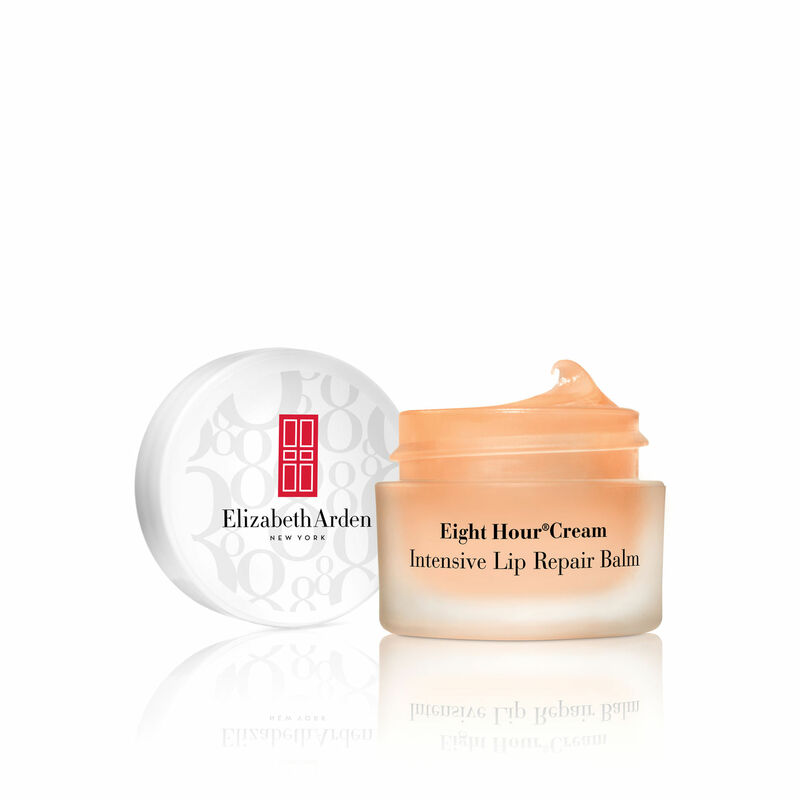 The Eight Hour® Cream Intensive Lip Repair Balm 15ml jar retails for $28.00 Cdn, and the Nourishing Lip Balm SPF 20 15ml tube is $23.00 Cdn. Check out ElizabethArden.com for purchasing in the US. Thankfully I have been lucky enough to enjoy lashes that, with some good mascara, looked long and full. However, lately I’ve noticed that they are not always as full as they used to be, so I was thrilled to give the new PREVAGE® Clinical Lash + Brow Enhancing Serum. According to Elizabeth Arden, this revolutionary new treatment clinically proven to make lashes and brows appear longer, fuller and healthier in as little as two weeks*. The newest addition to the PREVAGE® family, it treats lash and brow breakage and brittleness due to aging, lack of nutrients and vitamins, and environmental assaults. This new addition to the Prevage product line-up is supposed to treat lash and brow breakage and brittleness, which was music to my ears (and eyes). When I wear difficult-to-remove mascaras or liners, I notice the price I pay to wear them: I lose lashes and let’s face it, as we get older, these babies just don’t grow back as fast! Apply once daily at bedtime to clean eye area. Using the applicator, apply one stroke of PREVAGE® Clinical Lash + Brow Enhancing Serum to the base of upper and lower lashes, from the inner to outer corner. Follow the same directions for brows, covering the entire eyebrow area. Continue using 3 – 4 times per week to maintain the desired look and condition of lashes and brows. I wasn’t sure what to expect. I had heard of extreme lash growth with other similar lash serums, and though I love long lashes, I was a little nervous. I didn’t want crazy furry lashes! Nevertheless, I was excited and started using this product before Christmas, about the middle of December. To be honest, I forgot to apply it a few nights (when I was tired lol)… It was really easy to use — you apply it like a liquid liner along the lash line. The product is clear, and applies slightly wet, drying quickly. I’m curious to see how this growth will hold up as I reduce the use of the serum from daily to a few times a week. Overall, I was quite impressed with the results, especially given the minimal effort required. PREVAGE® Clinical Lash + Brow Enhancing Serum supports and enhances the look of lashes and brows at all three stages of their life cycle and provides key ingredients and conditioners to help maintain healthy-looking lashes and brows. The serum also helps shield upper and lower lashes and brows from future environmental assaults. 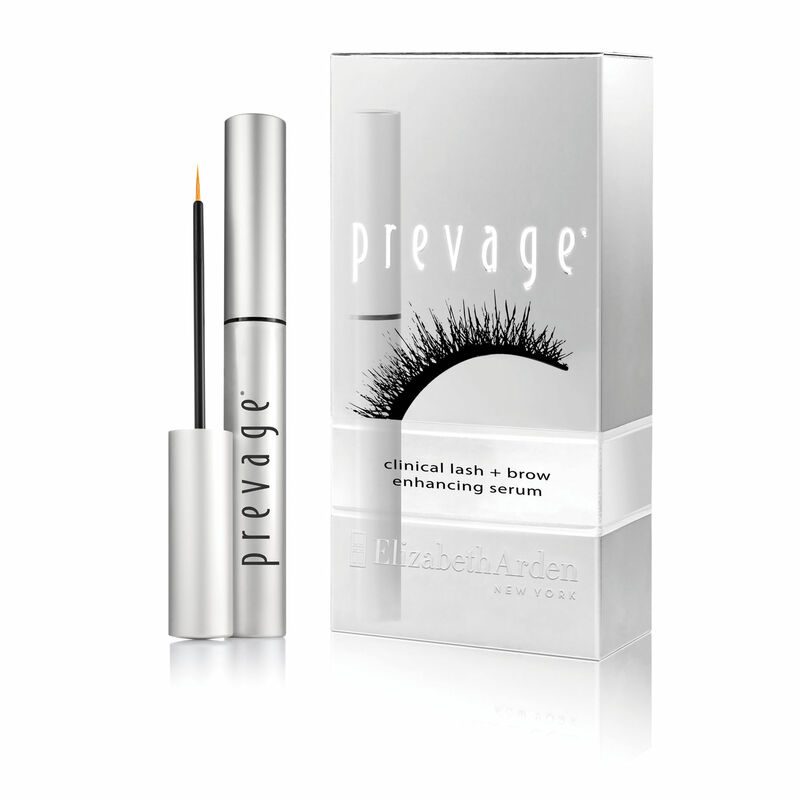 Developed in partnership with the world-renowned Bascom-Palmer Eye Institute, Elizabeth Arden’s PREVAGE® Clinical Lash + Brow Enhancing Serum is clinically proven and dermatologist and ophthalmologist tested. The safe and easy-to-use formula is fragrance and colourant free and is suitable for contact lens wearers. Triple Lipopeptide ComplexTM – supports lashes natural life cycle so lashes and brows appear lush, healthy and revitalized. Retinyl Palmitate (Pro-Vitamin A), Tocopheryl Acetate (Vitamin E) and Ascorbyl Palmitate (Vitamin C) – this vitamin blend fortifies, protects and revitalizes eye lashes for a healthy appearance. Panthenol – conditions lashes and promotes lash flexibility and durability. Vitamins A, C, E, ProVitamin B5 and Botanical Extracts – Help minimize breakage as lash conditioners fortify to help protect, revitalize and recover from environmental, chemical and physical damage. * Based on a clinical study of 30 women over 2 and 4 weeks. The formula is proven to work on upper lashes, lower lashes and improve the look of sparse or thinning brows. With continued use, PREVAGE® Clinical Lash + Brow Enhancing Serum improves the healthy look of lashes and brows. 100% of women in a clinical study showed a visible improvement in the look of their lashes in just 2 weeks. In just 4 weeks, women in a clinical study showed up to a 40% improvement in the appearance of length, thickness and density of lashes. PREVAGE® Clinical Lash + Brow Enhancing Serum features a fine tip applicator wand and is housed in a chic carrying pouch for easy storage and travel. PREVAGE® Clinical Lash + Brow Enhancing Serum is now available at Shoppers Drug Mart and The Bay, Sears, London Drugs, and Pharma Plus Ltd.